A commentary by Dr. Nigel Browning, the Chief Science Officer for the Chemical Imaging Initiative at Pacific Northwest National Laboratory, was recently published in Nature Chemistry. The commentary featured recent four-dimensional electron microscopy (4D-EM) work done by the research group of Nobel prize winning scientist Ahmed Zewail. 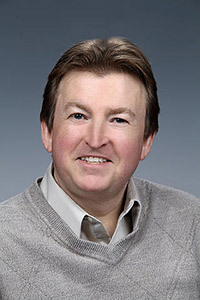 Browning highlighted the wealth of new information 4D-EM has revealed about how electronic phase transitions occur in individual nanoparticles, how the particle-to-particle variability changes the speed and magnitude of the transition, and how interactions between nanoparticles control the ensemble-average response of the system. The power of 4D-EM to image structural dynamics on the scale of a few hundred nanoseconds and allow the switching dynamics to be quantified makes a unique contribution to the study of nanostructures. A broad class of electronic phase transitions in individual nanomaterials can now be studied directly using 4D-EM.